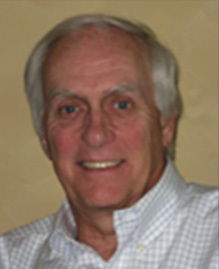 Charlie Rogers is a Principal at E. Rogers Associates, Inc. E. Rogers Associates, Inc. is a human resource strategy consulting firm located in Greenwich, Connecticut. Charlie was a human resource executive at PepsiCo for 26 years. Prior to joining E. Rogers Associates, Inc. he was Senior Vice President, Human Resources and a member of the Executive Council for PepsiCo Beverages and Foods (PBF), a division of PepsiCo comprising the Pepsi-Cola, Tropicana, Gatorade, and Quaker Foods businesses in the U.S. and Canada. He was responsible for leading the human resource integration strategy across the PBF business sector. In addition to his responsibilities at PBF Charlie was also the functional leader for the PepsiCo Corporate Sales organization and PepsiCo’s “Power of One” initiative. Rogers is widely viewed as not only a leader and innovator in the Human Resources field, but also a seasoned business manager with a bias for action. He earned a reputation as an innovative business leader early in his career when he worked at MacArthur and Company, a management consulting firm in Boston that specialized in starting up new ventures and reorganizing high technology companies. From MacArthur and Company, Rogers joined the John Hancock Mutual Insurance Company and helped launch and build a new global business venture called the International Group program. Later he established an international compensation and benefits consulting business for Alexander & Alexander (AON) in their Midwest Region. When Rogers joined PepsiCo he initially headed up the compensation and benefits function and used his human resource background and business management skills to create the first flexible benefit program in the United States. He later developed the SharePower program, which was the first broad based global stock option program in a Fortune 50 Company. SharePower provided stock option benefits to more than 350,000 PepsiCo employees in over 50 countries. PepsiCo employees have realized over $5 B in stock option gains from this program. During his tenure, he also designed a number of leading edge Executive and Board of Director compensation programs. Charlie was also responsible for strategic human resource planning and was the human resource lead for all merger and acquisition activity. In this human resource role, he was responsible for the divestiture of North American Van Lines, Wilson Sporting Goods, Lee Way Motor Freight, Pepsi-Cola Bottling Group (PBG), PepsiAmericas (PAS), YUM and California Pizza Kitchen and the acquisition of SOBE, Kentucky Fried Chicken, Tropicana and Quaker. His strategic planning work evaluating the food service business played a significant role in PepsiCo’s decision to spin off the restaurant businesses and create a new public company called Yum. Charlie developed the organization and staffing plan for this new public company. Rogers was transferred to the Senior Vice President Human Resources position at the Taco Bell division of PepsiCo and was a member of the Executive Committee. In this role, he oversaw the operation of key departments such as public affairs, community and government relations, and administrative services. During his tenure Taco Bell launched the “value menu” which revolutionized the pricing and economics of the fast food industry. Several innovative human resource organization initiatives were developed while he was at Taco Bell to significantly reduce labor costs to support the division’s pricing strategy. The organizational innovations at Taco Bell became the core of a Harvard Business School case study. Following his assignment at Taco Bell, Rogers returned to PepsiCo as Senior Vice President Staffing and Executive Development. In this role, he was responsible for global internal and external staffing activity, including succession planning and overseeing a corporate wide search partnership. In addition, he was responsible for the company’s executive development, performance management and core human resource management processes. Prior to his role at PBF Rogers led the human resource function at Pepsi Cola North America. During his three years in that role he led the reorganization of the corporate concentrate company following the spin-off of the Pepsi-Cola Bottling Company. This reorganization also became the subject of a Harvard Business School case study. In this role, he was also the Human resource lead for PepsiCo on the Tropicana and Quaker acquisitions and integration. He played a vital role in establishing the PBF business unit within PepsiCo. In 2004, Charlie retired from PepsiCo and became a Principal at E. Rogers Associates, Inc. In this role, he has been a senior advisor to the staff on a number of executive development and strategic human resource projects. In addition, he has worked directly with a major international organization restructuring their business and restaffing their executive team. He has also provided executive counseling to senior management in several other companies. In addition to his professional responsibilities, Rogers has been an active member of several civic and professional organizations and has been a frequent public speaker on such topics as health care, compensation policy, executive development and human resource management. He has been a guest lecturer at the Harvard Business School for both the Taco bell and Pepsi Cola North America case studies. His professional and civic memberships have included Chairman of the Board of the Employers Council for Flexible Compensation, Board memberships at the Orange County Business Council, Hoag Hospital Foundation, Orange County Business Committee for the Arts, Kaiser Foundation of Connecticut, Conference Board Executive Compensation Council, American Compensation Association and the Conference Board International Human Resource Council. Rogers holds a bachelor degree from Suffolk University and a certificate from the PMD program at the Harvard Business School. He lives with his wife, Evelyn and daughters, Jessica and Nicole in Greenwich, Connecticut.